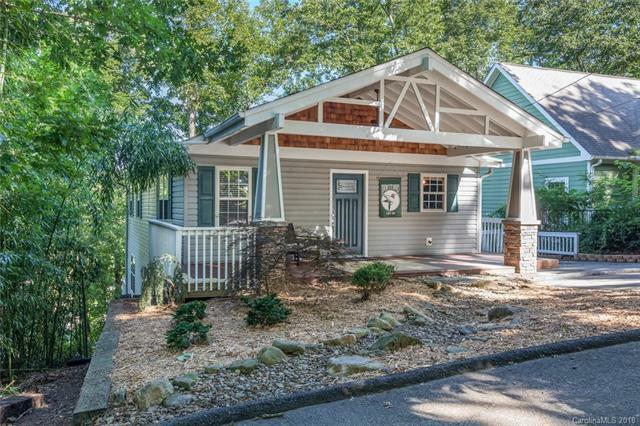 Montford craftsman-style bungalow with a lower level apartment! Open layout and beautifully updated. Stunning gourmet kitchen with large island/breakfast bar and stainless steel appliances. Huge finished studio apartment in the basement has a separate entrance, kitchenette, full bath, washer/dryer hookups, gas-log fireplace, and separate water heater. Covered front porch and wrap-around deck for outdoor enjoyment. Lot has frontage on Westover Alley and Westover Circle which may allow the potential to build an accessory dwelling unit. (Buyer to Verify). Excellent location walkable and bikeable to downtown Asheville, parks and restaurants. See brochure for details.